Do wills created on self help sites, DIY wills from software or forms really work and are they safe to use? Now I am a lawyer who Chairs the Trust, Estate and Wealth Preservation Section of my firm. I work every day on my clients' wills, trusts, estate plans, GRATs and QPRTs. 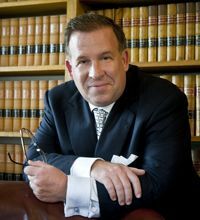 I like to think that my work has value and many clients get to keep and protect much more of their wealth from estate taxes and law suits becasue of the work that we do. So I am probably not a fan of self created wills. I also saved my money and paid a lawyer to do my first will when I was only 20. So I value the work that estate planning attorneys do. But can you so a will on your own? Personally, I think that there are people without children or who own all of their assets jointly in states without inheritance taxes (and with a low estate value), who do not need a complexe will, trust or estate plan. But, that said, self help wills are probably pretty dangerous. You do not get the advice of an experienced attorney on how to coordinate these documents with how you title and own assets. You do not really get tax advice or advice about the pros and cons of certain tax clauses and related docuemtns such as powers of attorney and medical powers. Finally, because no one supervises the execution of the will, reviews it for clarity, or documents your capacity to do the will, such wills should never be used where there might be a challenge to the will. Want mor to think about on the issue of Do It Yourself wills and estate planning? These two legal bloggers really go after the Wall Street Journal's recent piece on DIY (Do It Yourself) Wills. They are a quick read. Thinking about doing your own will? Read these first and let me know what you conclude about self created wills and estate planning.